Our mission is to be recognized by our customers, vendors and competitors as a trusted and respected homebuilder that delivers the highest level of professionalism and integrity to your homebuilding experience. We are committed to building homes of enduring quality, inspiring design, and maximum value. We will do that through innovation, sustainable building practices, and customer service focused on consistent excellence. We have lived and worked in Atlanta for more than 50 years and have a practical knowledge of the market. The real estate market and homebuilding industry is dynamic – changing constantly. 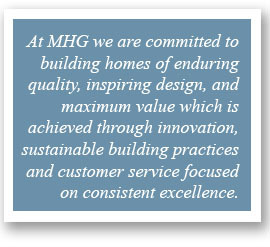 What has remained consistent at MHG is our focus on the homebuilding experience for you and providing the quality, price, location, and features you desire. We utilize the information we receive from market research, as well as our own knowledge of the Atlanta market, to ensure we build the right product in the right location. Mike Adams has been in the Atlanta homebuilding market for more than 20 years and has built over 500 homes. With this longevity in the homebuilding industry and our financial stability, homebuyers can feel secure they are buying from a viable homebuilder that will be around in the future. Magnolia Homes of Georgia is a proud member of the Greater Atlanta Home Builders Association (GAHBA) and the National Association of Home Builders (NAHB). Within the GAHBA website is a section designed to educate consumers about the homebuilding industry and about home ownership. Click on the GAHBA logo and browse the Consumer/Home Buyer Information section within the GAHBA website for more information and helpful hints on the home buying process. The NAHB is a national organization and it exists to represent the building industry by serving its members and affiliated state and local builders associations. The NAHB’s website contains everything you need to know about buying, financing, building, maintaining or remodeling your home, along with many other useful resources related to the homebuilding industry. 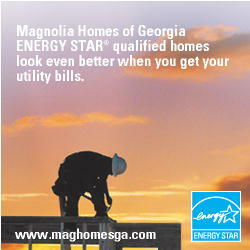 MHG is a partner in the ENERGY STAR program and builds ENERGY STAR certified homes. This means our homes meet guidelines for energy efficiency set by the U.S. Environmental Protection Agency. Energy Star qualified homes are at least 15% more energy efficient than homes built to the 2004 International Residential Code and include additional energy-saving features that typically make them 20-30% more efficient than standard homes. Magnolia Homes of Georgia is a residential home builder located in Cobb County and proudly serves the Metro Atlanta area, surrounding counties and cities including but not limited to Alpharetta, Brookhaven, Buckhead, Johns Creek, Kennesaw, Marietta, Roswell, Sandy Springs, Smyrna, and Vinings.